Recently, I’ve been writing that all content marketers should be creating vertical content. This mobile-friendly format found on Snapchat, Facebook and Instagram Stories will be coming soon to Twitter and Google search results. If you want to stay ahead of the curve with digital content, now’s the time to master this style. I’ve started to keep a closer eye on how brands and publishers are utilizing the rise of this format and here are my top five Stories from 4/16 - 4/22. These are accounts I follow personally, so if I’m missing out on a profile producing top-tier Stories content, hit me up..
Yeah, I follow a makeup company even though I don’t wear makeup. Why? Because I don't know a single woman who can walk into their NYC Showroom and not purchase something. I’m also really impressed with how they run their social media operation. I find it absolutely brilliant that they use content followers tagged them in to populate Instagram Stories. This is cross-channel distribution done right. 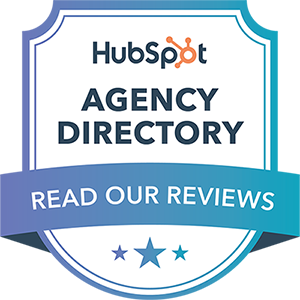 Fun fact: Hydro Studios is now a certified Gold Hubspot Agency Partner! Even though we’re experts on all things HubSpot, we can still dig their social media content, right? Their Instagram presence is proof that you don’t need highly visual creatives to rock on Stories. I think this post is a great representation of how anyone can bring blog content to a new medium. There’s nothing super fancy about this visually, but this post showcases that Stories offers plenty of tools, stickers, and fonts to make your blog copy come to life on Instagram. Hubspot sticks to their branding with the color scheme, offers a CTA at the end to read more on the subject, and it works quite well. The Los Angeles County Museum of Art is who I think of every time I’m brainstorming Snapchat content ideas. Their viral snaps in 2015 prove that this museum is a force in knowing how to leverage social media to get young people's attention. Their mastery was on full display last week with their Instagram Stories after another social media icon returned to Twitter. LACMA paired recent Kanye West tweets with artwork and I think it turned out beautifully. This Stories post helped me learn that LACMA currently has a David Hockney exhibit, and if I lived in Los Angeles, I’d know what I was doing this weekend. By now, I’m sure everyone reading this is well aware of the fact that video content is king on social. What I love about this North Face Instagram Stories post is that they posted the horizontal video as a normal post on their channel. They also uploaded and cropped it for vertical consumption as well. My guess is that they shot the video knowing it would and could be shared in both formats. This photo essay was hands down my favorite Stories post in recent memory. The voice over accompanying the images Mosa’ab Elshamy captured at the “Marathon of the Sands” in the Sahara Desert is a stunning combination. 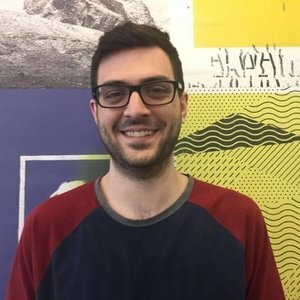 Everyone in the world of social media is looking to tell stories in unique ways, and this post should be a huge inspiration for everyone looking to tell captivating visual stories without using video. Those are my favs. Please send me some of yours to @hydrostudios and we’ll add them to the list. Looking for some help jumpstarting your vertical social presence? Contact us today!